As expected Google released its latest flavor for its operating platform; Android 5.0 Lollipop. A delicious new upgrade from the most recent Android 4.4.4 KIT KAT which ran on millions of devices for a time up till now. 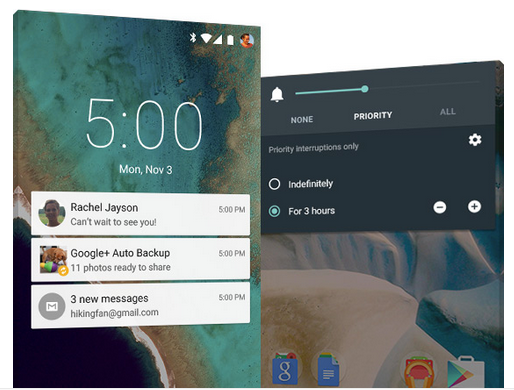 Google’s Android 5.0 Lollipop provides new updates regarding services, features, and many other every day usage. CU Blogs will be taking a look at the various release features of the the Android 5.0 and look at the awesomeness of the upgrade. Currently, only the the newest nexus device line ups (IE. Google Nexus 6) wields the latest weapon from Android’s arsenal but soon this update will be rolled out by manufacturers to their latest devices released (and to a lot of their older devices). 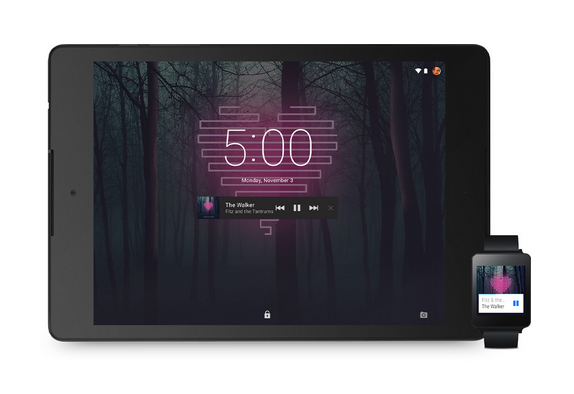 Some may be wondering when their devices will receive the lollipop update. As of now it is certain that NEXUS models from the 4 up to the 10 will receive the updates. Also the updates should be rolling out over the coming weeks as mentioned prior. Taiwanese manufacturer HTC stated that they will be rolling out the update to the HTC One (M8) and (M7) models within 90 days from the day HTC receives the finalized OS from Google. Other models will be upgraded as well. 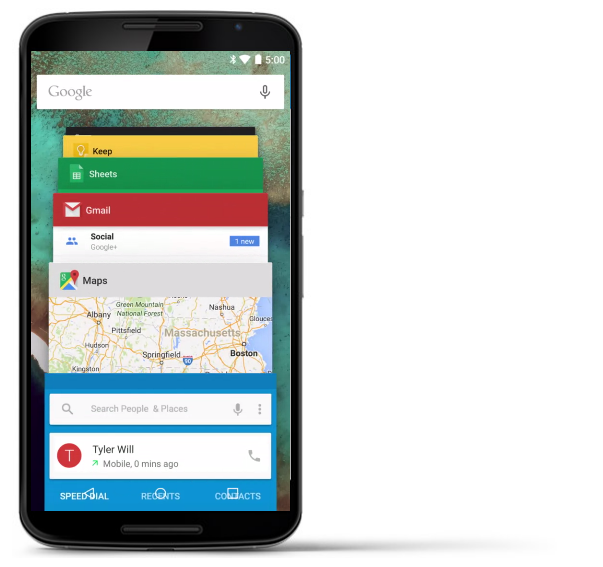 Moto X users as well as OnePlus owners should see a roll out soon for the Android 5.0. It is still unclear as to when the update will be available for other manufacturers just yet. This visual UI update made to Android 5.0 Lollipop can be described with; Bold Colors + Realistic Shadows + typography + Various Visual Elements. Basically, colors are meant to pop and interactions with UI Elements will provide visual cues and movements that gives a new experience. For example, when opening up a contact info page within your Contacts App the “Opening animation” of the app is more in depth and allows users to see and feel that an app is being opened in a fluid method. It is sort of a bold yet subtle way for Google to help users to become familiar with any interaction(s) made with the UI and give it a bit more delight to it. Some may find this slightly too much but luckily Android is always about customization and settings are available to change this to the users liking look HERE to see how you could do that for yourself on any android device. Google implemented an improved framework of keeping your content on the go with your many android devices you may own. Between devices you can pick up songs, photos, apps, recent searches on one device to the next as you may move between locations. It is a sort of “Big + Small” screen to assist with that. This includes devices such as smart watches, flat screens, your car, other phones and tablet’s. Between APPS a dependency model was created. At Google’s IO an example was described as apps “Google Chrome” and “OpenTable” interacted with one another. When a user searched for a restaurant location on Chrome this launched the OpenTable application. This is a very useful tool that is made available to any developer so that they can integrate this into their application and create a larger network of apps working together to provide a more convenient environment where users can find their information and receive their services. 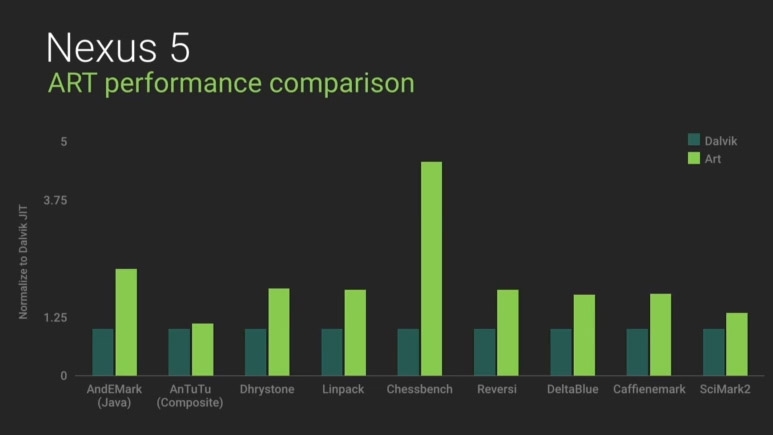 Google developers implemented a new Runtime architecture into the software. They call it “ART”. This feature was actually optional in Android KitKat enabled devices (click Here to see how) and is now being implemented as the standard for future bearers of the Lollipop Android 5.0. Supposedly this provides faster processing of applications and processes thanks to its new AOT (Ahead-Of-Time) runtime process as opposed to the older JIT runtime (Just in Time). AOT processes data ahead of time so that things simply run faster compared to the device scrambling to get apps started when users launch or activate services. Beta versions of ART available on KIT KAT firmware’s show SLIGHT improvements to battery life, however, we look forward to the final package when Lollipop rolls out for all our devices. Android 5.0 Lollipop also enables the system’s ability to suspend background apps and services to reduce impact when launch multiple apps. This can potentially provide better battery life without sacrificing multitasking. On top of this 64 bit support is packaged into the new iteration. Google finally implemented a battery saving mode into the OS itself. This is claimed to increase the devices life span by 90 minutes. Developers are also now given access to administrative level information about what each app(s) does within the system and see clearly and fix the bugs or issues that causes battery draining. This is great news. Many new media integrations include USB audio support which supports plug and play via USB enabled head sets and devices. Other neat improvements is the Multi Channel support for up to 8 channels including 5.1 and 7.1 surround sound. Latency for audio is now lowered to provide amazing communication and music listening experiences. OpenGL ES 3.1 is included to provide advanced graphics processing. Even new photography formats are now supported (YUV and BAYER RAW). Overall, The Android L (or Android 5.0) better known as Android Lollipop is an impressive update that we are looking forward to. With new features and services made available and graphical overhauls implemented this can be an exciting transition into a bolder and smoother experience ever experienced on the Android platform. Users should expect to see greater and improved performance, listening experiences, imaging, entertainment, and longer battery life. With bold colors and contextual UI movements we are pleased with the new OS. For more information visit Android’s site!